According to LA Department Of Corrections 80% of the offenders in Louisiana State Correctional Facilities have substance abuse challenges which have attributed to their criminal activities? 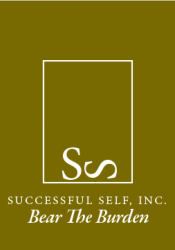 Successful Self (STRNGTH) is a 36 week Curriculum based on the 8 Step Eco Map. A process designed to crucify and bury unproductive beliefs, values, skills and habits in order to resurrect newness of life. This curriculum is used in Bible classes, Seminars, Training and Small Group Sessions, etc. for emotional and spiritual imprisonment.